Voice.Global > Blogs > Everyone’s VOICE Counts! Written by Vibol Kong and Sareth Uy. Exploring new ideas, learning new skills and collaboration led to the Linking and Learning (L+L ) event on the 18th – 20th DEC 2018. Twenty-seven civil society organisations and independent researchers from 10 different provinces in Cambodia came for the three-day event. Participants developed the agenda for all three days through their responses in an online survey (thanks technology!) They wanted to focus on connecting with the wider community of stakeholders while building their own communities of practice with similar organisations. During the first day, participants came to learn and understand what Voice actually is and what it means to have linking and learning as the heart and soul of Voice. Voice Cambodia and This Life Cambodia (TLC) gave a general overview of Linking and Learning. 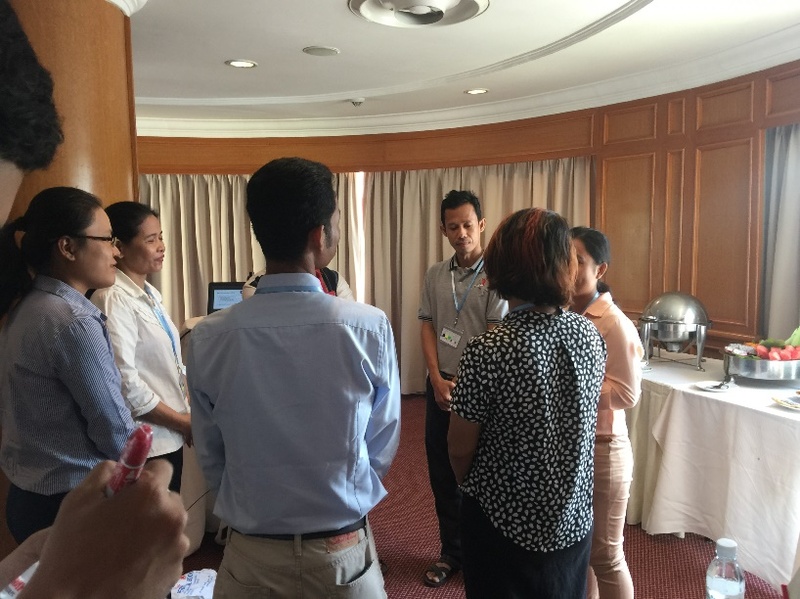 As an L&L Facilitator, TLC provided a more detailed description of the strategies and processes they employ in Cambodia. The following day was a big day! It was the initial meeting of the Community of Stakeholders (CoSs) and Communities of Practice (CoPs). CoS is a co-created space that enables the target groups and their organisations and networks to meet with other local actors and have direct involvement in the national Voice programming and learning. CoPs provide space to reflect, articulate and share lessons between grantees, target groups, and other stakeholders. Grantees and target groups form the core of CoPs, with local experts, government agencies, donors, media, and role models invited to join activities. During the meeting, grantees presented their work on a variety of topics including Understanding SOGIE (Sexuality Orientation and Gender Identity Expression), ageing networking, and assessment in making videos. TLC found a way that CoSs and CoPs can keep in touch with each other by using a set of freely available tools, namely Facebook chat, Email and Google Drive. On the last day, TLC brought different ideas on possible ways to strengthen the connection and communication among the 13 grantees. The decision and discussion from the group is to keep using and sharing information to each other through Facebook Group Chat. As new grantees come on board, they are also invited to join. Many issues were highlighted including different levels of organisational capacity (lower vs higher), unaware/poor understanding of each other’s purpose and work, lack of guidelines on how to approach or connect, attempts to provoke issues intentionally, competition for grants, what are the core benefit of cooperation, and lack of innovation and decision making. As an initial idea to address some of these issues, participants suggested encouraging the same person or someone from their organisation’s management to regularly attend the Linking and Learning events. From here, they can then follow up on the needed action after the event. In support of the linking and learning process, participants committed to share their experiences and lessons from their practice such as the monitoring and evaluation strategy of their project, project management, and video production for the next event. They also wanted to have a platform where they can share their work; who their target groups are, and what resources they have. Using Google Drive, participants will share their organisational details and services for potential collaborations. It will let everyone know about the nature of their work in order to link and seek support if needed. In the end, TLC also received a lot of information towards future plans on how to bring all the CoPs and CoSs together to learn and share in the next event in September 2019. The short video above gives more information about Linking and Learning in Cambodia, displaying what they (facilitators) have done so far with the grantees.